Get refreshed, soft and glowing skin using the Roop Mantra Mix Fruit Face Wash. It is a perfect blend of natural fruit extracts giving you real feel of refreshment due to its deep cleansing properties. Enriched with the goodness of mix fruits such as Apple, Grape seed, Carrot, Aloe Vera and Almond, this face wash provides complete nourishment to the skin. Not only does this face wash instantly give you radiant skin, but also helps in preventing blemishes, pimples and eliminating dirt. It additionally provides antioxidants and sun block effect. 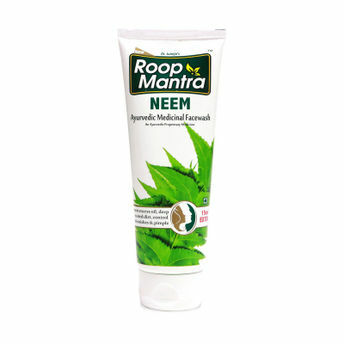 Alternatively, you can also find many more products from the Roop Mantra Neem Face Wash range.